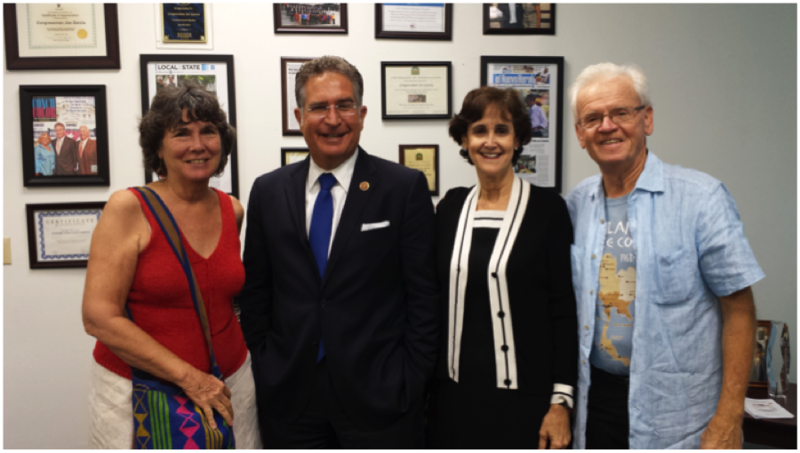 Visit with Congressman Joe Garcia: Helene Dudley, Larry Thorson and I spent almost 45 minutes with the Congressman and Anna Gonzalez, a DC based policy adviser. The Congressman is very well-informed about Peace Corps issues. He thought that he had already joined the Peace Corps caucus but Anna Gonzalez will follow up on that. Photo - from left to right - with Helene Dudley, Congressman Joe Garcia, Ana Ciereszko and Larry Thorson. Then Helene and I rushed to Congressman Diaz-Balart's office where we met with Miguel Mendoza - Legislative Director - and Lourdes Cosio, a Miami-based Policy and Outreach Director. This is the third time I meet with Miguel (the first time was in DC when NPCA coordinated an Advocacy day in conjunction with the 50th PC Anniversary celebrations. So by now he knows who we are. He also shared with us that Congressman Diaz-Balart sits on the Appropriations Subcommittee on State, Foreign Operations and Related Programs - the subcommitee that funds the Peace Corps! He stated that level funding for the Peace Corps from last year was actually quite an accomplishment, because they were looking where to cut. 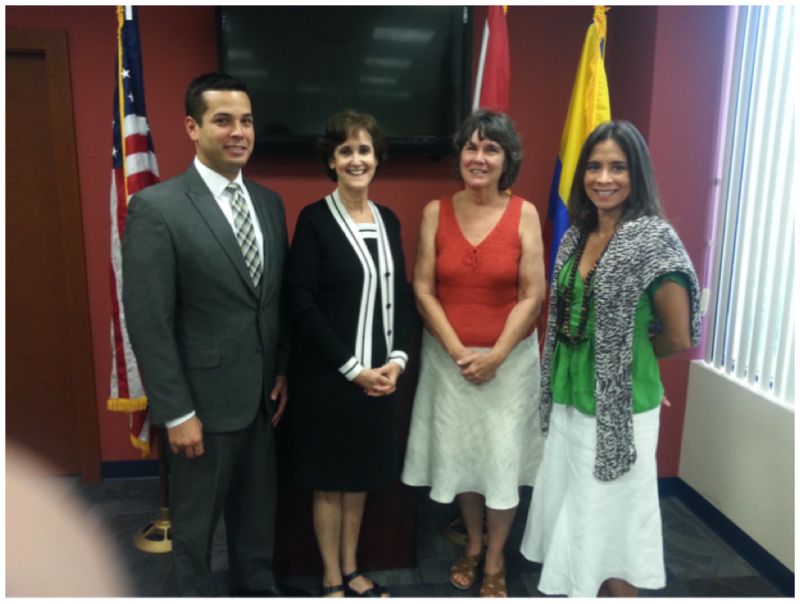 The photo - from left to right - Miguel Mendoza, Ana Ciereszko, Helene Dudley and Lourdes Cosio. 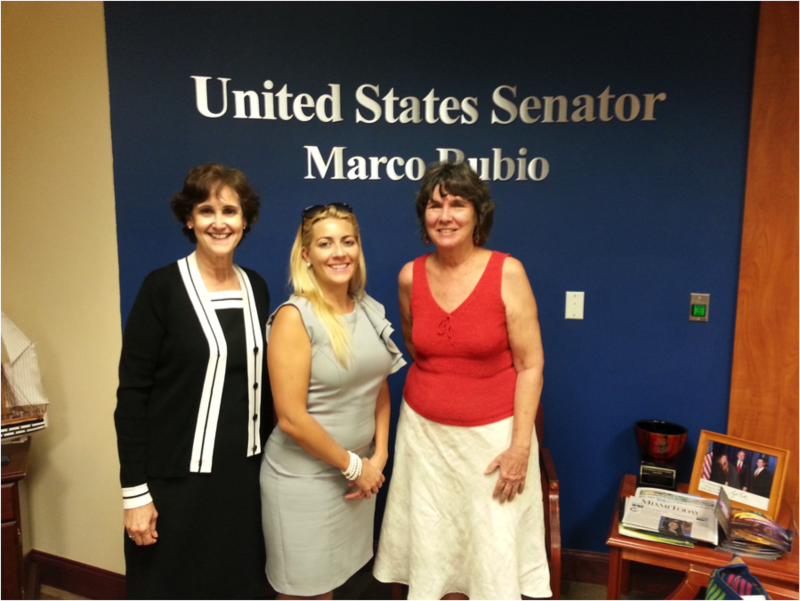 Third visit - Since Senator Marco Rubio is in the same office building as Rep. Diaz-Balart, we walked in. We were able to meet with Alyn Fernandez, Regional Director, South Region. Third photo - left to right - Ana Ciereszko, Alyn Fernandez, Helene Dudley.